The music press has been awash this summer with stories of horrific festival queues. 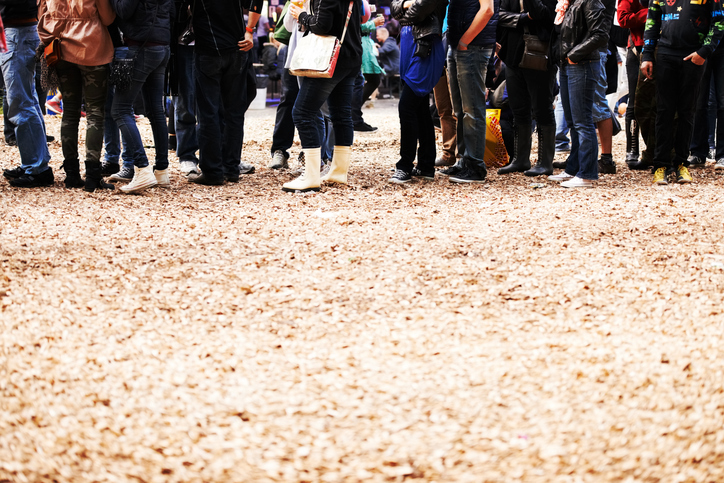 The brand damage and poor customer experience caused by queues may be difficult to quantify but make no mistake – if you’re a festival director, having your attendees outside the gates instead of onsite spending cash, is costing you thousands. According to research conducted by the Association of Independent Festivals, the average festival goer spends a whopping £88 per day on food and beverages. That is a significant amount of money that will help you to generate greater revenue so you can expand and grow your festival in years to come. The only thing standing in the way of these festival goers spending their hard-earned cash is access to your bars and food stands. One possible reason this access might be affected is due to queues. Long, winding queues that prevent your attendees from entering at the time of day they choose to show up. If your attendees can’t even access your event, how are they going to work through that £88? Let’s take an example of a festival with 10,000 attendees. Let’s also play it safe and be particularly conservative with our estimates. If just 1000 of those attendees are left waiting at the front gates for hours before being able to enter the premises, you’ve just halved the amount of money this group would have spent during the day. This difference in revenue is astonishing. Now think about the total sum if this was applied to 2000 or 3000 attendees and what that would look like in terms of lost revenue. So when you’re planning your next festival, consider carefully how long queues at your event are not only going to cause a public (courtesy of social media) backlash and damage the reputation of your event, but also eat away at your revenue and therefore profit which has a very real impact on the future of your business. Let’s take a look at three things you can do to avoid losing money by way of queues. It should not be underestimated just how much time you need to spend on planning your event entrance. Think about all the different roads, paths, or train stations that attendees may enter from. Have you got clear signage or volunteers in the correct positions to usher attendees in the right direction? Do you have multiple gates so that you don’t end up with a major bottleneck of attendees all trying to enter through one lane? Do you have the appropriate gates or barriers in place so that attendees can form orderly queues rather than being able to skip the lines? These logistical considerations cannot be easily sorted on the day of your event. With thorough planning, as well as applying learnings from previous festivals you’ve either operated or attended, you’ll give yourself the best chance at avoiding long queues of upset attendees. As you’re scanning your attendees through the gates, the last thing you need is a crash in the system or scanners that run out of battery after 30 minutes of operating. You should be careful when considering your technology partner and make sure they have access to reliable scanners or a mobile app that fulfils the same job, as well as access to live data so you can track exactly how many people you have in the doors and how many are left to enter. This way you can juggle resources such as the number of staff on each gate, using real-time data which will help you to produce the smoothest experience possible for your attendees. As a benchmark to consider – Eventbrite scanners can complete 4,500 scans on one charge, with up to 20 scans per minute: that’s 1,200 attendees per hour, per scanner. So with around 6-10 lanes at your front entrance, equipped with the right technology, it’s entirely possible to avoid queues. And if you’re currently working with ticket scanners that require attendees to have to read out the number on their barcode or ticket (seen at some festivals by our team this summer) – your entry tech isn’t up to the job. Let’s be honest, organising a festival is no easy task. You’re responsible for not only entertaining thousands of people but also their health & safety. It is worth seeking counsel from experts in this field so that you can focus on providing the best experience possible for your attendees throughout their entire journey. To learn more about how to manage your event entrance contact us now. I'm a well traveled New Zealander with a passion for music events and love sharing my knowledge of the music business.